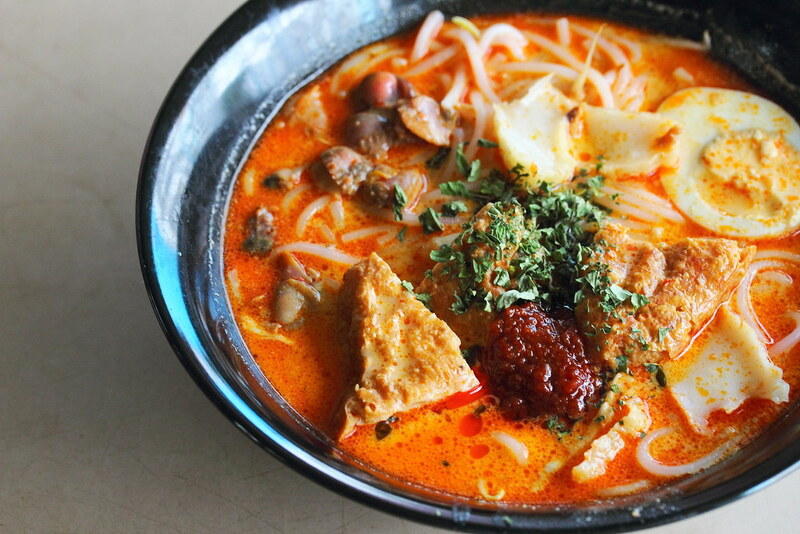 I got to know about Min Ji Laksa at Bendemeer Food Centre from fellow foodie Leroy, The Hungry Cow who used to stay at the area during his childhood day. Apparently the stall has been around for more than 17 years. 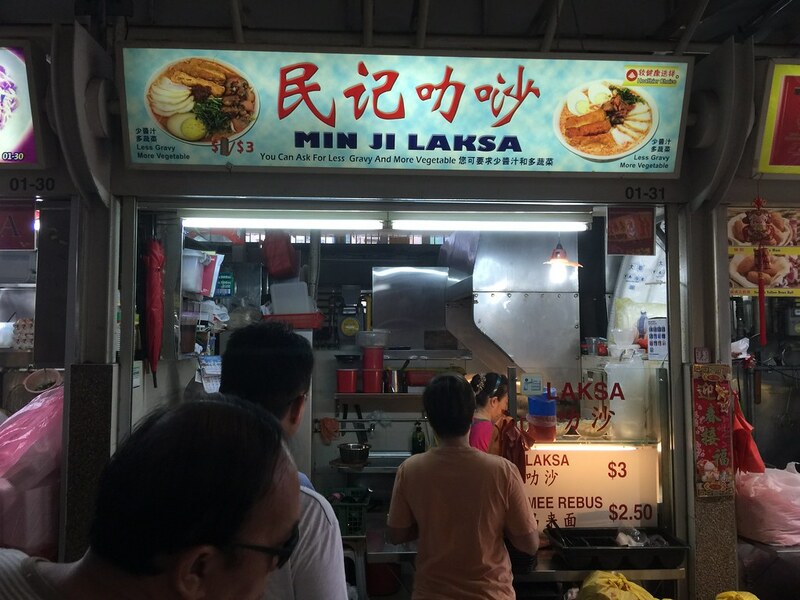 The stall sells only two items, Laksa and Mee Rebus. 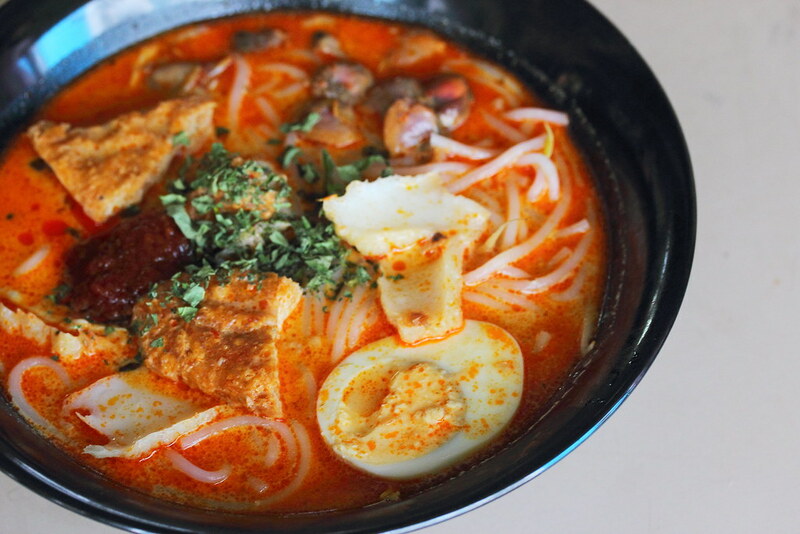 The bowl of Laksa ($3) comes with egg, fish cakes, tau pok and cockles. The laksa broth is not those creamy and lemak type, but it comes with an old school, nostalgic flavour that triggered the childhood memory of mine. 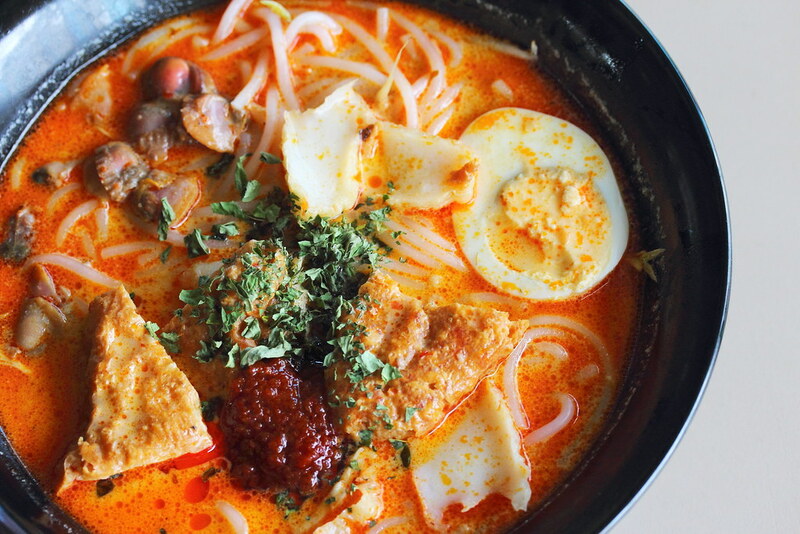 It reminded me of the same laksa taste that my mum used to buy my weekend breakfast from the downstair coffeeshop. I can't say this is the best laksa I have tasted but it definitely brings a warm and comforting feel to the hearty bowl of laksa. A tip from Leroy is to purchase the youtiao from next door to soak up the laksa broth.